Owing to their corrosion resistance, abrasion resistance and excellent finish, our ASTM A556 Carbon Steel Pipes are widely in demand amongst buyers. We are the renowned Manufacturer, Exporter and Supplier of superior Carbon Steel Pipes in Maharashtra, India. We offer ASTM A556 Grade A2, B2, and C2. 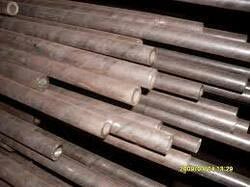 Buyers can obtain bulk quantities of our Carbon Steel Pipes at market leading prices.